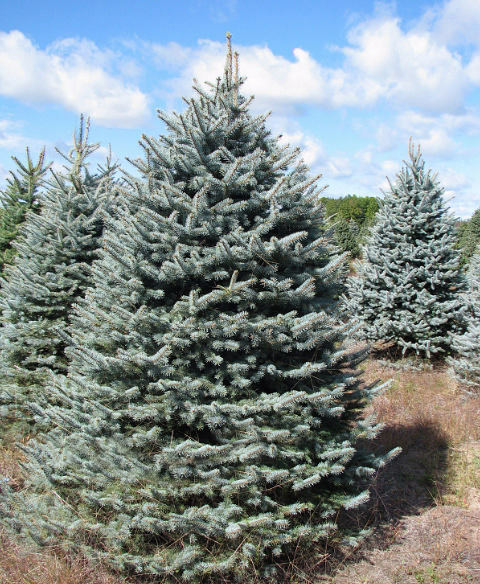 With its attractive blue foliage and symmetrical pyramid shape the Blue Spruce is another popular variety of Christmas tree we offer. Needles are generally bluish-gray to silvery blue but some trees have a more distinct bluish-white or silvery-white foliage. This tree has extremely sturdy branches and its needle retention is among the best of the spuces. 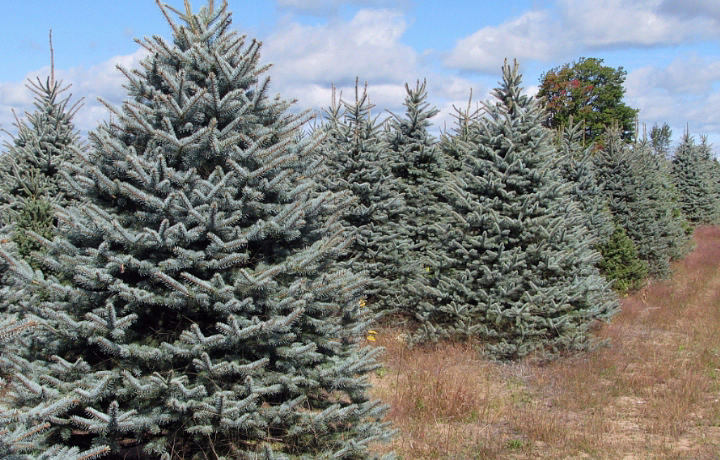 When used in a landscape blue spruce trees are valuable in deer country, as their prickly texture and strong aroma render them conveniently deer-resistant. 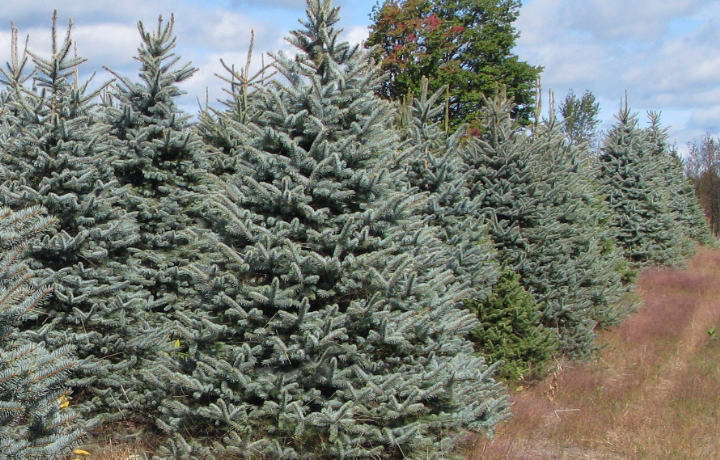 In the snowy North, where landscapes can look barren in winter, evergreens such as blue spruce trees can provide much-needed winter interest. 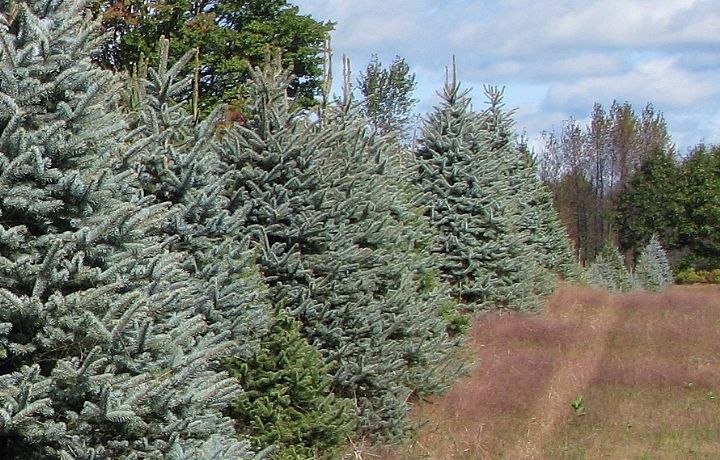 Blue spruce trees typically reach a height of 30'-60' and spread out 10'-20'. Their silvery-blue needles are prickly to the touch and aromatic. 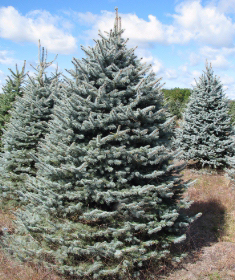 The pyramidal shape of blue spruce trees makes them a classic choice. Choose an image above or below to view full size below.